How was his resignation announced? A statement was carried on state news agency APS. 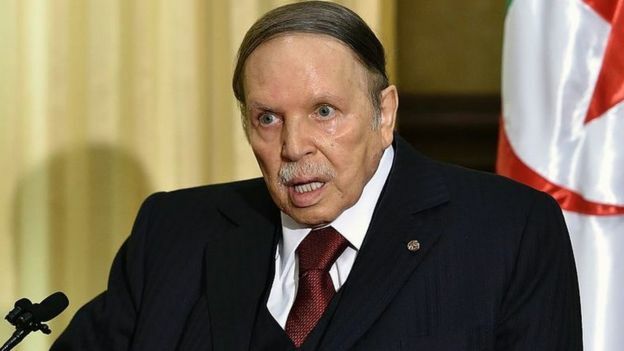 Pressure had been building since February when the first demonstrations were sparked by Mr Bouteflika's announcement that he would be standing for a fifth term. Why have the protests grown? Car horns could be heard in the streets of the capital, Algiers, as hundreds of people waving flags celebrated. One protest leader, Mustapha Bouchachi, told Reuters before the announcement that any decision by Mr Bouteflika to quit would still change nothing and that the protests would continue.